Last year as I was trying to get prepared to attend my first ISTE conference, one podcast mentioned they’d be curating content from ISTE on a platform called Wakelet. Mmmm…I hadn’t heard about Wakelet, and was naturally curious. So, I started exploring. It appeared to be an extremely easy to use tool that allowed me to post videos, links, docs, Tweets, photos, etc. to a wall. I read this on their web site: “Now we can bridge the gap between humans and algorithms by empowering people to curate content in a stunning, useful and more personal way. Humans, taking control, of the information we put together. Searching public Wakelet collections, you may find YouTube videos, photos, articles and infographics that advocate a cause, inform or tell a story. This tool has many possibilities as students can use these resources for their own research and learning journey. Or, they can create their own Wakelet collection. In creating their own Wakelet, students are empowered to move beyond a random list of resources. They can professionally and visually engage their audience with photos, videos, articles, graphics and resources that have power. The power lies in being specific about purpose and audience. Power to inform, teach or tell a story. What is the goal of this information? Where do you want it to go? Who will you share it with? Who will you collaborate with? How will you move forward? If you follow Wakelet on Twitter, you’ll often see the following: #TheHumansAreComing. With Wakelet, we have the opportunity to take charge of our information and make specific decisions. Decisions made by a human, not a computer. Fast forward to several months into the school year. We were looking for an alternative to Padlet for our students to share content and collaborate. In all of my searching, Wakelet kept appearing on ‘NEW AND COOL’ tool lists. Wakelet offered to do a Google hangout with me to showcase their features. They were helpful, informative and responsive to educational questions/needs. And did I mention it is FREE. As a teacher, I can invite other students and teachers to collaborate on a collection. I can also follow experts on particular topics to access and use their work. It’s super easy to share a Wakelet with my students via Google Classroom, a link or a QR code. No accounts necessary for students. And I predict the updates and features will continue to grow. Wakelet is a tool to use and a company to keep your eye on! Over the last …. many…. years, I’ve had the opportunity to teach teachers new databases, tech tools, programs and frameworks. Each and every time, my goal is to make the experience meaningful and relevant to the audience. However, as we all know, professional development is not a ‘one size fits all’. Every learner comes to the table with different skills sets, experiences and needs. I’m often frustrated with myself afterwards as the pace was too fast, or too slow, or I left people overwhelmed, or even bored! 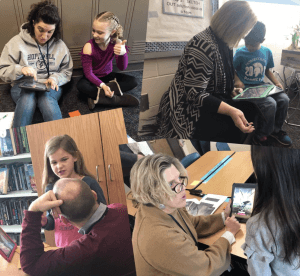 Last Monday, we had a professional learning day for teachers in our district and one team wanted to showcase their experience with the Apple movie making app CLIPS. Students have been creating their own movies to document authentic learning experiences. 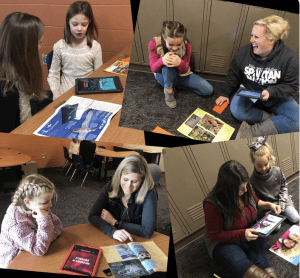 For example, one teacher had her students create narrated scripts to demonstrate their ability to use nonfiction text to create a “tour guide” experience for the audience. Hearing their voices tell the story, and see the images presented, is much more engaging than a five paragraph essay. Also, students kept editing their scripts, and reworking the narration to improve the work. It was an example of students driving the revision process. Another classroom has used CLIPS to showcase new learning for the week, replacing a written newsletter. Again, student driven, and students at the center of the work, vs. the teacher doing all the heavy lifting. In our meetings, we bantered around the question of HOW to teach CLIPS to teachers? A step-by-step approach? Have everyone watch us make one? Give them a handout? Show examples and talk about why this tool makes a difference? Or….we could ask students to come to school on their day off and teach the teachers. Jackpot! Fourteen students agreed to come to school to teach teachers. They were excited, eager and willing. We gave the students a checklist of skills to cover. The students taught, and the teachers learned. It was a success! Every teacher created their own Clips movie in the short 40-minute session. Each teacher learned from a third grader. Enthusiasm bubbled out of the students and it was a happy place! Sometimes we make life harder than it needs to be. Sometimes the very best tools are right under our noses…our students! I want to look for more opportunities to empower our students to use their gifts and communication skills….stay tuned. Now more than ever before…we need understanding and empathy. Please consider joining us in an opportunity to further unite us as human beings across the world. 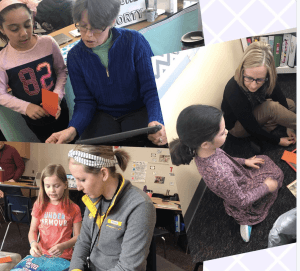 Last year, Marlise Bosman, a colleague at Hopewell Elementary School in Bettendorf, IA, and I embarked on a journey that took many twists and turns. She wanted her students to wrestle with the concept of ‘What defines us as human beings?” Using a website entitled Gapminder.com, under the tab Dollar Street, the students were exposed to photos of real families from all over the world. Dollar Streetfeatures 264 families from 50 countries with over 30,000 photos. We had a front row seat to their homes, the food they eat, their front door, their toys, computers, their location/street/front door, etc. The families became real to us as we discussed our likenesses and differences. It was so much more powerful than just reading generic information about a country. It helped us break stereotypes and inaccurate perceptions. One of our favorite sections for each family featured plans for their next purchase and their dreams. Interestingly enough, this led us to talk about our dreams, and our next purchase, and what is important to our family. The more we talked, the more we discovered common dreams and beliefs of families around the world. We spent time also digging into all the statistics and information within the website to analyze trends, changes and factors that impact our world. Education. Literacy. Pollution. Infrastructure. Health. Environment. Work. Energy. Economy. Looking at the information from a mathematical vantage point, one can see the connectedness of all these factors. It is a domino effect of circumstances. Again, we are connected as human beings. Our hope is that other classrooms from across the world will join us. Look at gapminder.com to learn and discuss. Attached is a link for a pdf of lesson plans that will help articulate the steps for conversation. 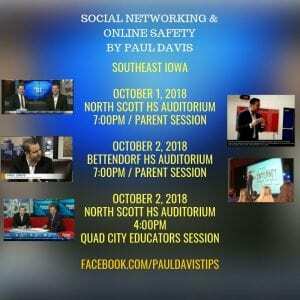 If you’re interested, sign up, and we’ll invite you to the Flipgrid wall. Listen to our stories. Talk about your dreams and ideas. Develop your story. Talk about ‘What defines life as rich and meaningful?’ If you’re interested in posting to our wall, join us. We want to foster kindness, empathy, understanding, conversations and perspective. Our job as educators is to empower our youth to be leaders in making this world a better place. Please consider being part of our work. Laoye family lives in Lagos city, in Nigeria. Adeleke is 37 years old and is an architect. His wife, Bolaji is 34 years old and she is a fashion designer. The family lives along with their son in a 1 bedroom house. Their son, Tomiwa is 5 years old and he is a student. The family lives in a 1-bedroom house and has been living here for 7 years. They grew up in the area and like the location and surroundings of the house, but they aren’t happy with its size. It has indoor toilet facility and electricity which fails more than 3-times for an hour per week. The family buys all their food supplies from the market which altogether costs around 60% of their income. They use natural gas fuel stove to cook food. For drinking water, they obtain it from a water source which is 2 min away from their home. The family goes on vacations and have traveled to Kaduna, Nigeria on their furthest trip. They are saving money and their next big plan is to buy a car, some new furniture, and a laptop. Their most favourite items in the home are their smartphone and laptop. Their dream is to buy their own house someday. We’re embarking on a new school year, with a vibrant and energized focus. 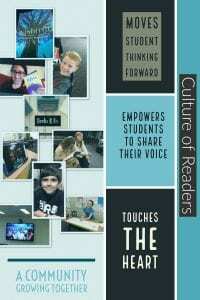 Back in 2013, we started talking about the term #Culture of Readers in Bettendorf, IA. Our ultimate philosophy centered on creating a community of people, (adults and teachers), who come together and to further a true love of reading – connecting one’s head and one’s heart. Since then, we have been sharing our philosophy with others through a variety of platforms. But, this year is different. We want to make our thinking MORE visible and share the steps for creating a Culture of Readers. Want to join us? 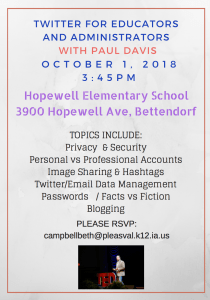 Feel free to email me at campbellbeth@pleasval.k12.ia.us or reach out on Twitter @hopewelllibrary. For a long time, I’ve believed that an active and vibrant library program must contain several key components ( I’ll save the rest of my ‘theory’ for a different day). But one vital aspect involves having a community of readers or a culture of readers Webster’s Dictionary defines culture as the beliefs, customs, arts, etc., of a particular society, group, place, or time. Several weeks ago I had the opportunity hear Donalyn Miller (The Book Whisperer) speak at the Plum Creek Literacy Festival in Seward, NE about this very topic. She explained what she does at her school to promote and engage all of her students in reading. She creates this very thing in her classroom. I left inspired and motivated. Instead of just having my own ideas, philosophies and nuggets tucked away in my head, I needed to get the message to our students. We need to work together to create, support and encourage reading throughout the building! Sometimes we miss the obvious. Since then, I’ve had multiple conversations with 4-6th grade students. How do we create a culture of readers? What matters? What impacts them? What will stick? How can they help each other? We’ve had an outpouring of ideas. One student suggested creating an APP that would track books and time spent reading, and another mentioned making a professional commercial. Several have isolated specific authors, genres and titles that need to be highlighted so others will read these particular books. Oh…and we have several book clubs going. One group of boys meet on Fridays at 3:15 to discuss Mac Barnett’s books, as he is our visiting author for this year. Posters are up for a group that will meet to discuss “Lions at Little Rock” in November and another group begins meeting later in November to identify what the group wants to take on. Seriously, I could go on and on. This is just the tip of the iceberg. My point…it’s about the students. It’s about helping them empower each other and make a difference. We say it…do we always follow through? I don’t know. But at this moment in time, I’m extremely proud of our Hopewell students. They are definitely creating a Culture of Readers – one book at a time.